This address is not located in the Village of Athens. It is located at Naugart in the Township of Berlin, Marathon Co. on the corner of Naugart Drive and Berlin Lane. The aerial photo below shows the Township Garage in the upper right corner of the the intersection, the former Naugart Post Office and Store in the lower right corner of the intersection. 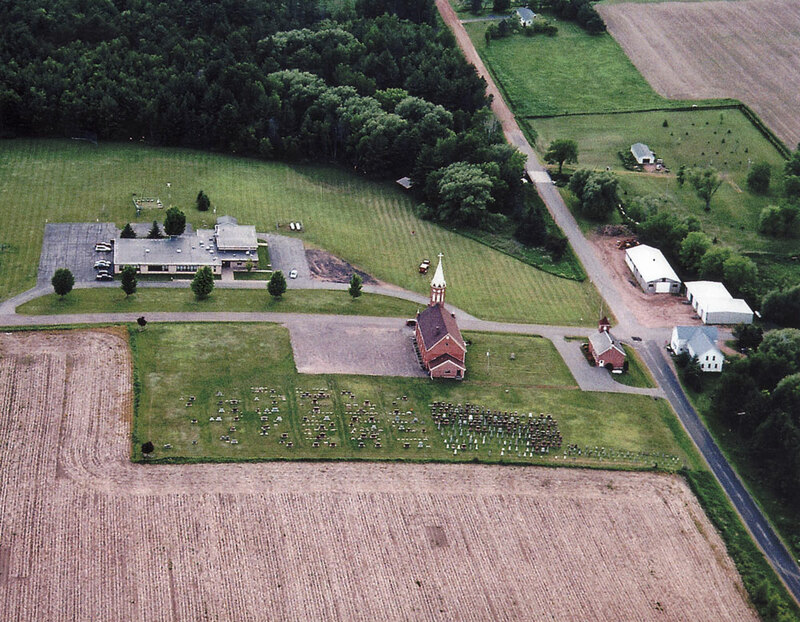 Immediately across the road in the lower left corner of the intersection is the former Naugart Elementary School and further to the left is the St. Paul Evangelical Lutheran Church and Cemetary. Across the road from it in the upper left corner of the intersection is the Berlin Center., formerly the Berlin consolidated elementary school, now housing the Township Offices, a meeting hall, the 4-H club, and the Pommerscher Verein Central Wisconsin. The Pommerscher Verein Central Wisconsin exists to preserve the language and heritage of its member's ancestors who immigrated primarily from the Prussian Provinces of Pomerania, West and East Prussia, and Posen as well as Mecklenburg (not a province of Prussia); to record the rich history of the settlers; and to be a resource for genealogy research. A further objective is to provide opportunities for fellowship, friendship, and gemütlichkeit for members and the community at large. DuWayne Zamzow, Pres. 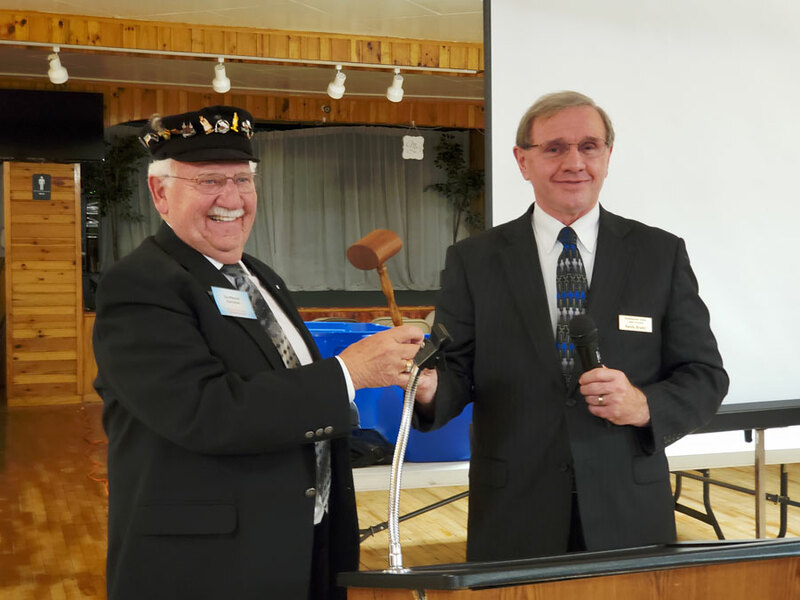 Elect, 2018-2019, accepting gavel from Randy Braatz outgoing Pres. 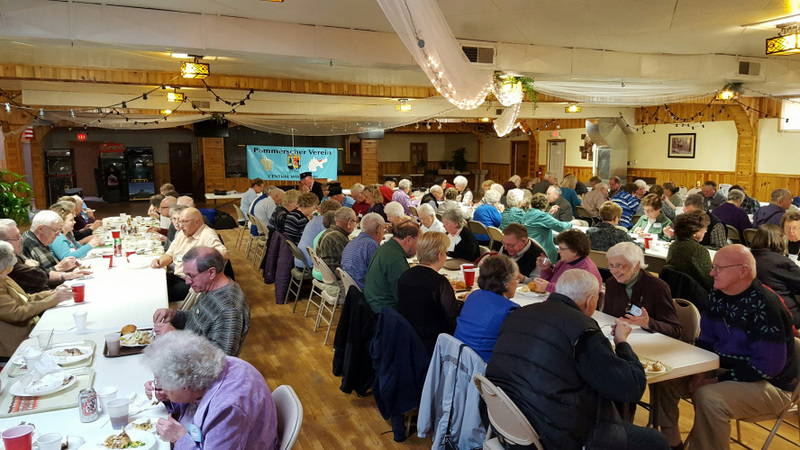 The Verein has 4 membership meetings per year with a typical attendance of about 100, including a meal, group singing, a speaker or presentation of interest, and a business meeting. The current President is Ralph Sturm who conducts the meetings. The annual meeting is held in October and meetings in February and May. The summer gathering is a picnic called "Piknik im Busch". 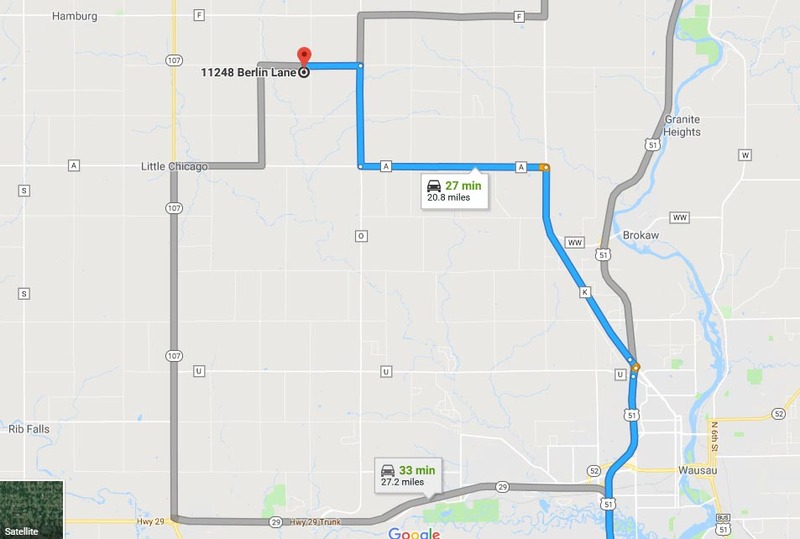 It is usually held at the Berlin Center in Naugart, Township of Berlin, Marathon County, Wisconsin. The Pommerscher Verein Central Wisconsin is a non-profit 501(c)(7) heritage society. Photography DuWayne Zamzow, Chr. Photo for Blatt, scrapbook, etc. Reinie & Marlene Lenz of maps, books, etc. Reinie & Marlene Lenz, Chr. The committee members consist of Board Members, Laurel Hoffman - Librarian, Gary Klingbeil - Dat Blatt Editor, and Don & LouAnn Zamzow - Consultants. Encourage and invite other members to assist with your committees. Committee chairpersons have forms to complete annually for past activities and consistency.